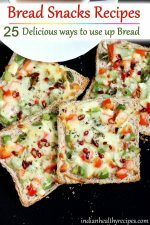 Bread recipes for snacks & breakfast – Most of us often prefer making something with bread either for breakfast or snack as they are fairly easy & quick to make. Sometimes we end up having surplus bread and do look for simple ideas to use it up. In this post I have compiled together 25 delicious bread recipes that can help you use up your bread. Most of these can be made for breakfast or snack. So far I have shared about 60 recipes using bread but I have kept this post short by compiling only 25 of them here. 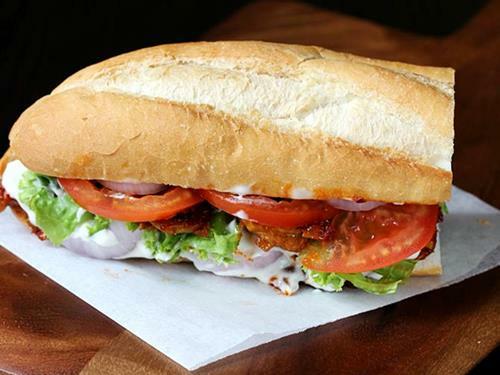 1.Veg mayonnaise sandwich is a delicious & creamy vegetarian sandwich made with mayo, fresh veggies, some herbs & spices. It just takes about 10 to 15 mins to prepare. These can be made ahead and refrigerated for later use. 2. 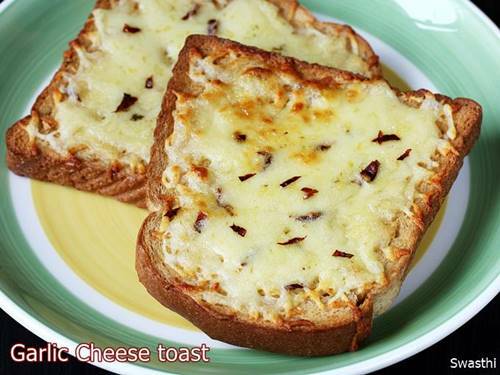 Garlic cheese toast is a popular bread snack made with butter, garlic & mozzarella cheese. This post will help to know the right proportions of garlic, butter & cheese to make a great tasting garlic bread. 8. Bread rolls make an amazing party snack. These rolls can be shallow fried, pan fried or baked in oven. These are stuffed with spiced potatoes but can be replaced with any stuffing of your choice. 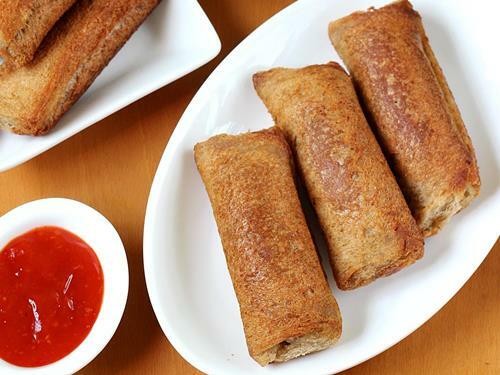 Variations of these are Paneer rolls stuffed with spiced paneer and peas. You can also stuff with this Egg bhurji. 9. 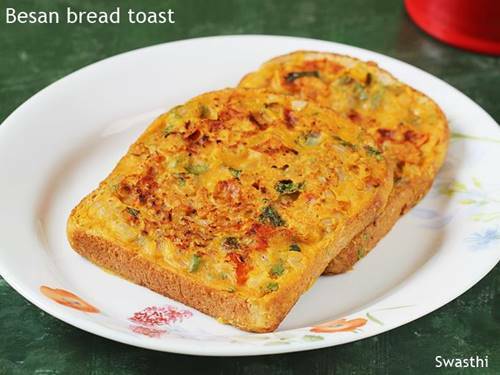 Egg bread toast is one of the most popular street food of India. 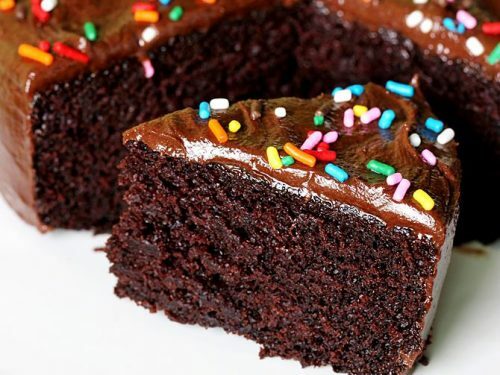 These taste super delicious & can be made under 10 mins. 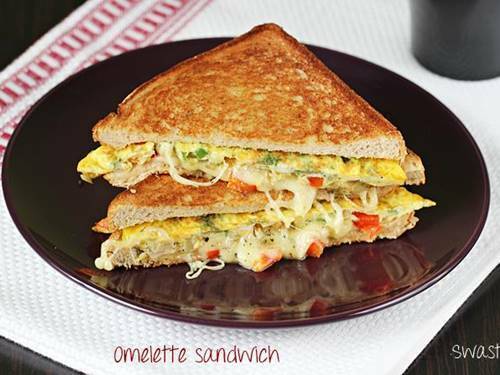 Egg toast can be served for breakfast or for evening snack. 10. 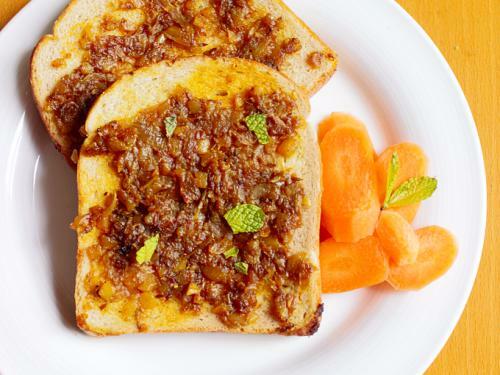 Bread besan toast is a vegetarian version of the egg toast. 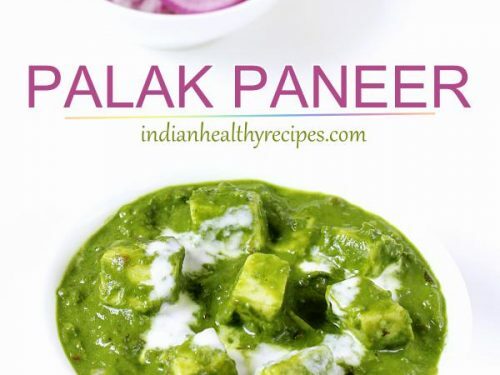 This recipe uses gram flour aka besan instead of egg. These turn out very flavorful and delicious. Great to enjoy with a cup of evening tea. 11. 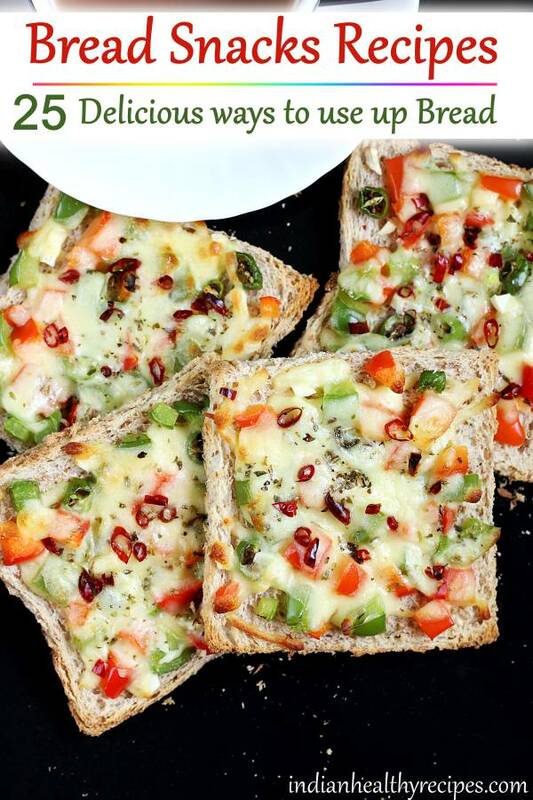 Capsicum cheese toast is another variation made with capsicum or bell peppers, herbs and cheese. These can be made either in the oven or on tawa / griddle. 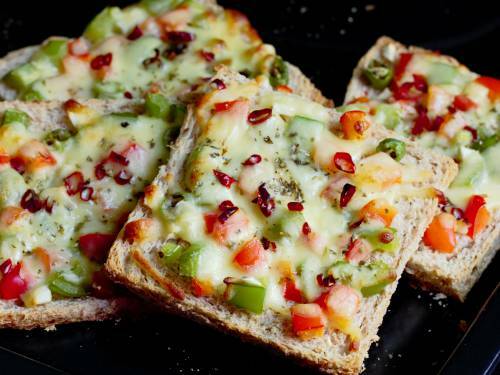 You can also make these as capsicum cheese sandwiches. 12. 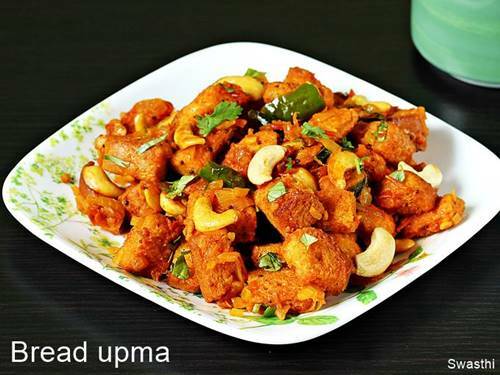 Bread masala is similar to the bread upma but this one is made with spicy onion tomato masala. 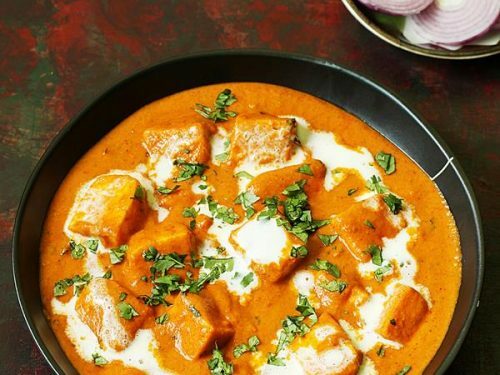 The spice levels are higher in this dish due to the addition of garam masala. 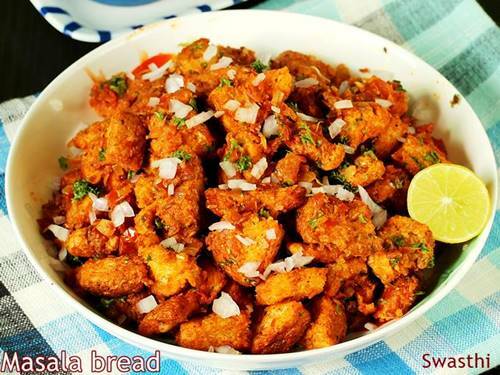 You can use any kind of bread to make this including pavs or buns. 13. 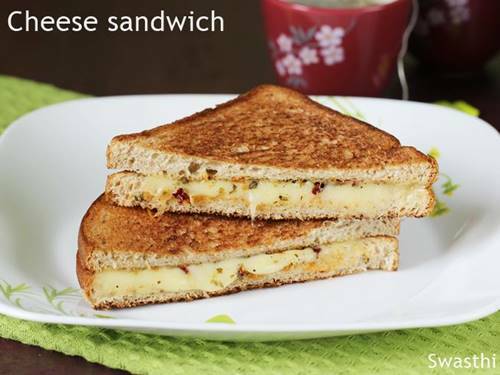 Cheese sandwich are kids’ favorite and these make a good cheesy after school snack. This is made the most basic way using only cheese, herbs & chili flakes. These bread sandwiches can be made on a griddle or in a toaster or oven. 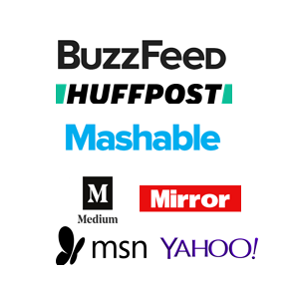 I have shared all the methods in this post. 14. 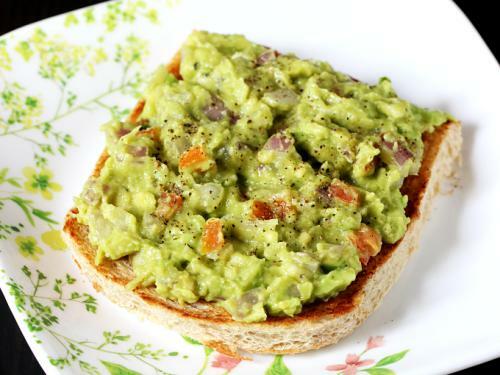 Avacado or guacamole toast is one of the most delicious ways to enjoy your avacados. This recipe also shares how to make the best guacamole. You can make these with any kind of bread you have including pav or buns or even with french baguette. 15. 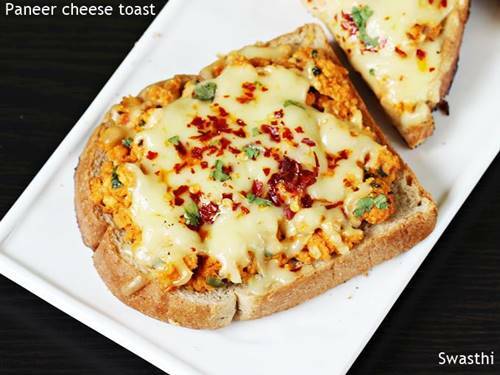 Paneer cheese toast makes a amazing snack for all the cheese lovers. 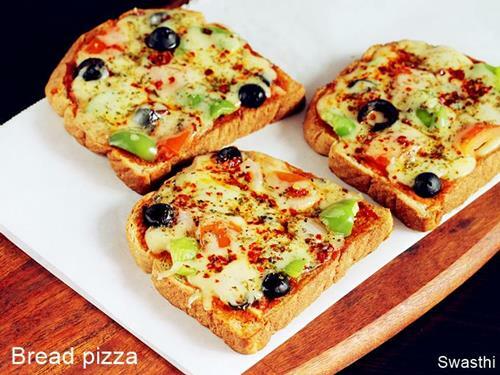 This 2 cheese toast is great on flavors & super addictive in taste. If you have kids home, this is a must try as they will surely be excited to enjoy these. 16. 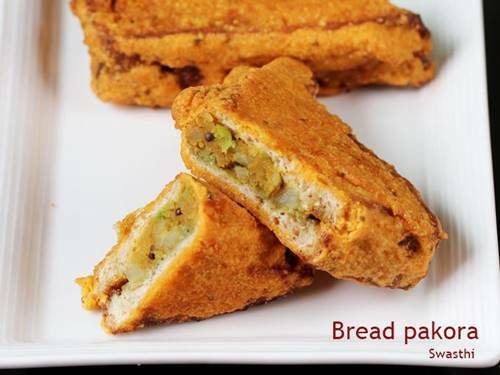 Bread omelette is one more street food from India. If you love eggs & bread this may be your new favorite. 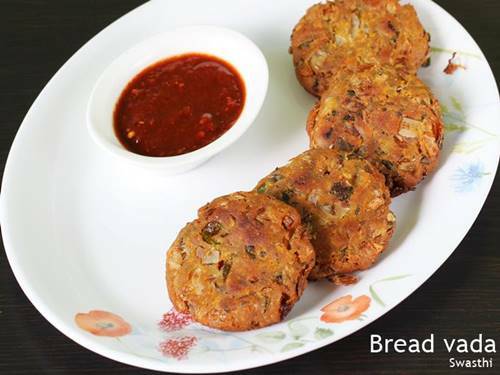 Try it out to check how easy this is and you can make better than the street bread omelette. 17. 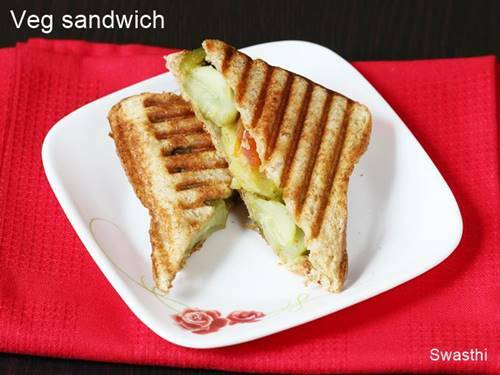 Paneer sandwich is one of the much loved bread recipes on the blog. 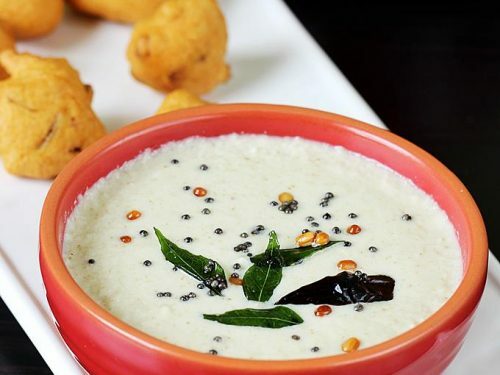 This recipe needs no sauce or chutney as it turns delicious on its own. I have shown how to make this on a tawa but can easily be made even in a toaster. 18. 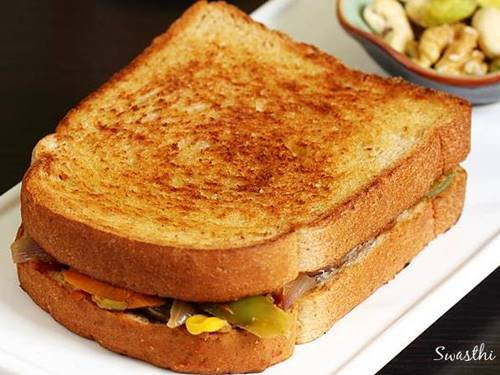 Potato toast sandwich is a spicy, hot toast made with potatoes and spice powders. 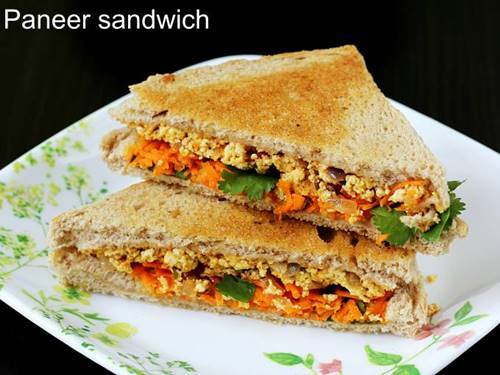 Bombay sandwiches made without grilling. 20. French toast is a classic breakfast made with eggs, milk, sugar and bread slices. 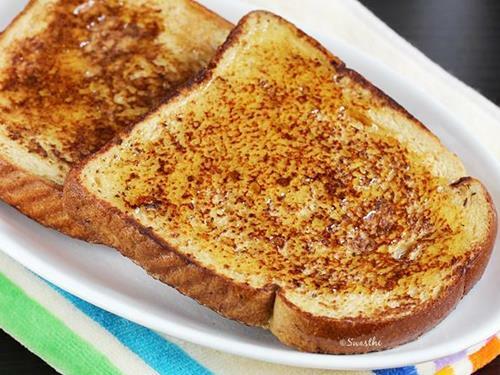 This post shares tips & tricks to make the best french toast. 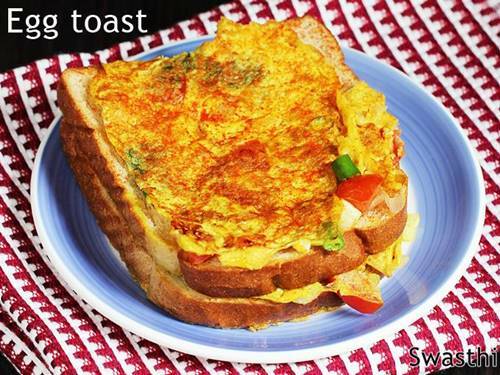 Here is a quick Egg in a hole or sunny side up toast for kids’ snack or breakfast. 21. Mayo boiled egg sandwich made with boiled eggs, mayo, herbs & spice. All the below bread recipes can also be made to simple open toast sandwiches in oven or toaster. Just toast the bread and spread the filling. 22. 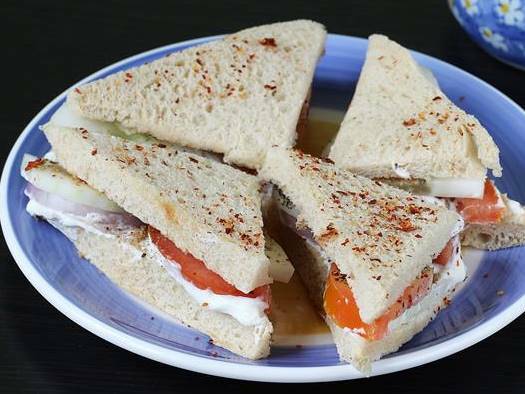 Tomato cucumber finger sandwiches are great to have for evening tea. You can use either mayo, cream cheese or hung curd (greek yogurt for the dressing). 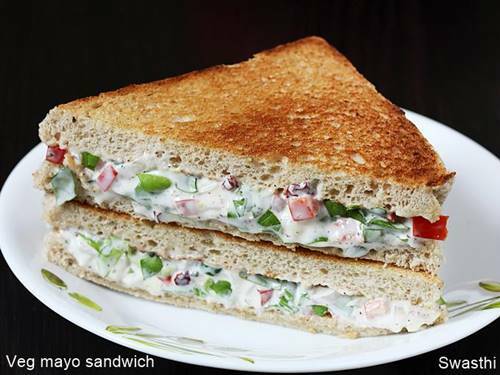 A variation of these are these Yogurt sandwiches or curd sandwich made with hung curd or greek yogurt & veggies. These are great for those who are not accessible to cream cheese or mayo. 24. 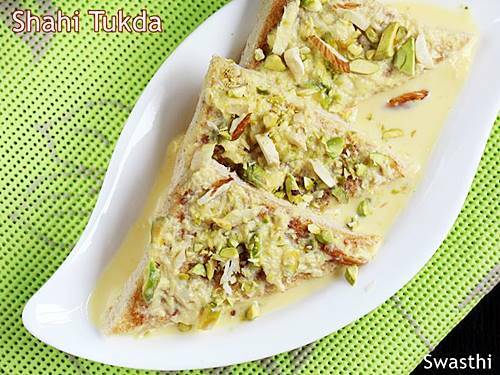 Shahi tukda is a royal traditional dessert from the Hyderabadi cusine made by toasting bread in ghee. 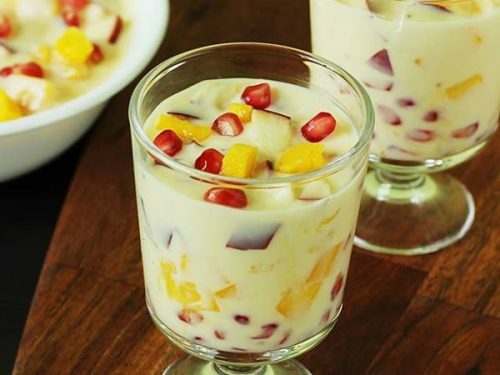 Topped with a generous amount of nuts this dessert is mostly eaten on occasions in a meal. 25. 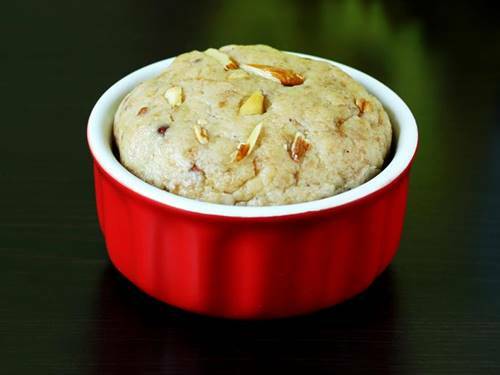 Bread halwa is another sweet dish made by cooking bread in a generous amount of ghee & milk. It is then sweetened and garnished with nuts. 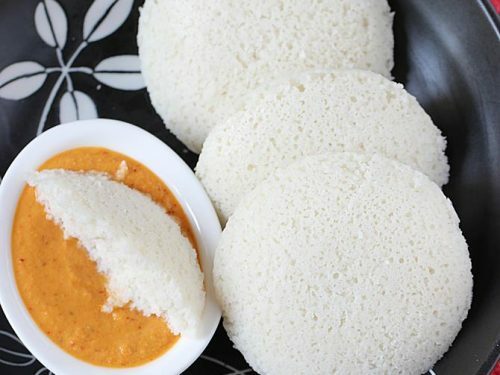 This is also a popular dessert in South India. Thanks for reading. yes do try them.